Photos: The Samsung Galaxy Note 7 is Coming with an Iris Scanner! 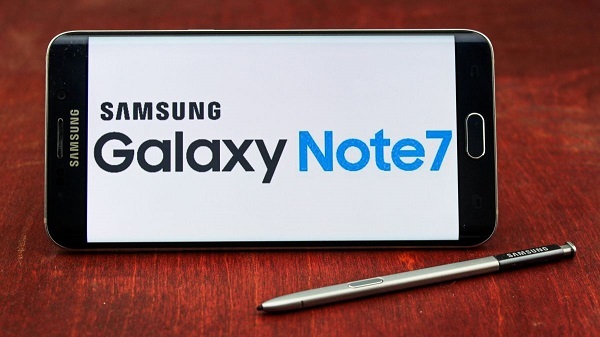 - MasterGBlog MasterGBlog: Photos: The Samsung Galaxy Note 7 is Coming with an Iris Scanner! Photos: The Samsung Galaxy Note 7 is Coming with an Iris Scanner! As each day goes by, we're getting closer and closer to the unveiling and launch date of the next Samsung Galaxy Note, that is the successor to the Samsung Galaxy Note 5, which is the Samsung Galaxy Note 7. Surprised, no 6? Yeah, Samsung is skipping the Galaxy Note 6 name so consumers won't get confused and think that the Note series is one generation behind. So far, we've seen and heard of so many things (rumours) which we are expecting on the Note 7 and some of them, if not most are already becoming reality. First, it was rumours of an IP68 certification, which appears to be true by now according to a Zauba listing. This would automatically make the Galaxy Note 7 the first in the Note series to be water resistant. Secondly, rumours about the Note 7 having a dual-curved edge screen, this claim has been confirmed since we've started seeing leaked images of the Phone. Now? Another remarkable feature which we're expecting on the Note 7 is the Iris Scanner and this has just been confirmed again. 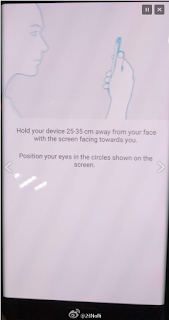 Some leaked screenshots show the device's iris scanner in action. 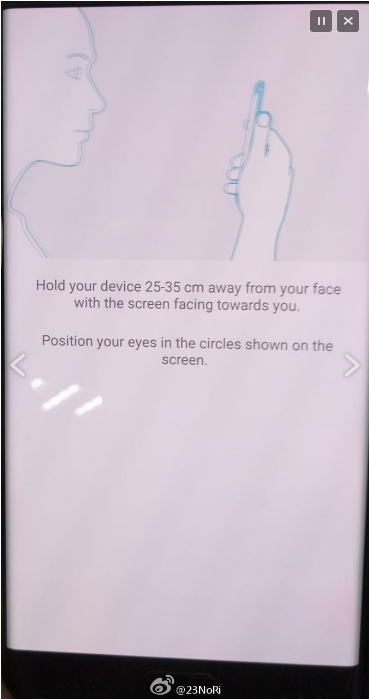 With the iris scanner, the Galaxy Note 7 user adjusts the phone so that his eyes are positioned within two circles found on the screen. The unit should be held 25 to 35 cm (10-inches to 14-inches) from the face, states a leaked screenshot listing the directions. According to Russian Blogger Eldar Murtazin, the iris scanner takes less than one second to unlock the Galaxy Note 7. And you can still unlock the device using the fingerprint scanner if you want. It is now embedded in the home button though. There are plenty more rumors that need to be sorted out before August 2nd. Now that the information is beginning to leak freely, we expect to pass along a lot more information in the days ahead, so just stay tuned to get the Note 7 updates directly in your mailbox by subscribing below.